A man who killed his partner after learning she wanted to end their relationship has today (3rd September) been jailed for life. Clarke Dean, aged 47, stabbed to death his long-term partner, Michelle Giles, at their flat on Anchor Lane, Solihull while their 16-year-old child was on a camping trip with a friend. Just weeks before she was brutally murdered, Michelle had told Dean that she wanted to end their relationship of over 20 years and that she wanted him out of their shared home. 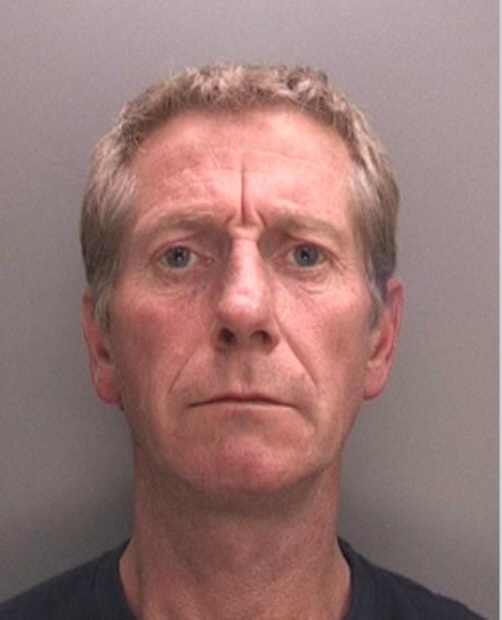 But unemployed Dean – described by those who knew him as an alcoholic – didn’t want the relationship to end and started to loiter at the Starbucks in Solihull town centre where she worked. Shortly before 2.20am on Thursday 8th August last year paramedics were called to reports of a stabbing at their home. When neighbours in the block were spoken to by police officers, they described hearing “spine chilling” screams from a woman which caused them to “wake in terror”. When they went into the hallway they found Dean pleading for help telling them he’d “stabbed her”. Despite the best efforts of ambulance staff, nothing could be done to save the 43-year-old who was pronounced dead at the scene. The large blood stained knife which was used against her was found in the kitchen sink. A post mortem examination found that Michelle had died from multiple stab and cut wounds. When interviewed, Dean refused to answer police questions but strenuously denied killing his partner when he was charged with her murder. Detective Sergeant Michael Griffiths investigated the murder. He said: “During the trial Dean accepted that he had killed Michelle, but could not recall doing it. He claimed that his judgement was impaired as he suffered from Alcohol Dependency Syndrome and asked the jury to accept a defence of diminished responsibility. “However they rejected these claims and found him guilty of murder. “This tragic crime has robbed a woman of her life, a child of her mother and parents of a loving daughter. Dean was sentenced at Warwickshire Justice Centre to life and to serve a minimum of 15 years behind bars having been found guilty of murder.